Gillingham – Rochdale predictions, betting tips and preview 13 Jan 2017 – The Gills must grab all three points. Gillingham – Rochdale predictions for England League One match at Priestfield Stadium, Gillingham. The hosts must continue their unbeatable run. Read on for live streaming info and our free predictions. 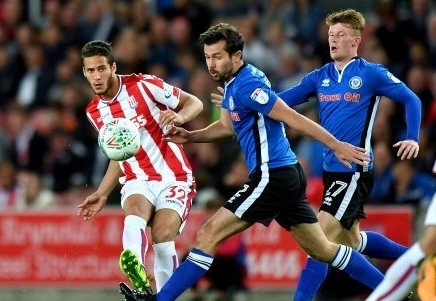 Do you want to watch live streaming of Gillingham – Rochdale bet live? Go to Unibet Live Streaming and place winning bets! The betting lines on this match look weird, because bookmakers offer these teams at even odds, although the chances of the hosts seem much preferable today. To begin with, Gillingham plays at home, which already gives them some advantage, because they have lost only four games at their stadium this season, of course, they finished most of their matches in a draw, having managed to win only twice. Obviously, it was the fact that made the bookmakers offer such a high price on Gills. Nevertheless, it is worth noting that now this team in the best form for the season and is fully capable to take three points against any opponent. Gillingham broke away from the relegation zone by only 4 points, but all the failures of these guys were in the first half of the season, now it’s a completely different team! If at the start, they have lost 8 games out of 14, then from the end of October they suffered only one defeat in 11 games! Gillingham had an amazing end of the last year, having managed to win three and tied two rounds, scoring 11 goals. Rochdale took only two points and was able to score just two goals for the same period! The guests along with Bury are the worst away division’s teams, the Dale took only five away points and failed to win on the road, moreover, they lost their last five outings with a total score of 13:5. Gillingham have won to nil three last games at Priestfield Stadium against Rochdale and may well repeat such success today.